We've brought back our tableware collection. This is exclusive to Made in Hawaii, is in very limited quantities, and may be our last collection. So come early! 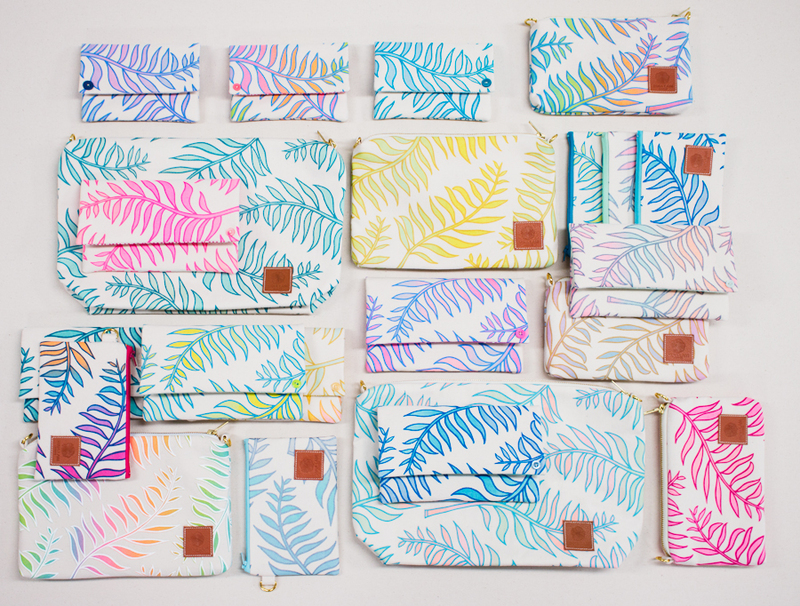 The Palm print officially made it's debut in the Palm + Peace Collection on Army fabric. We will have it in full color options for the first time at Made in Hawaii. 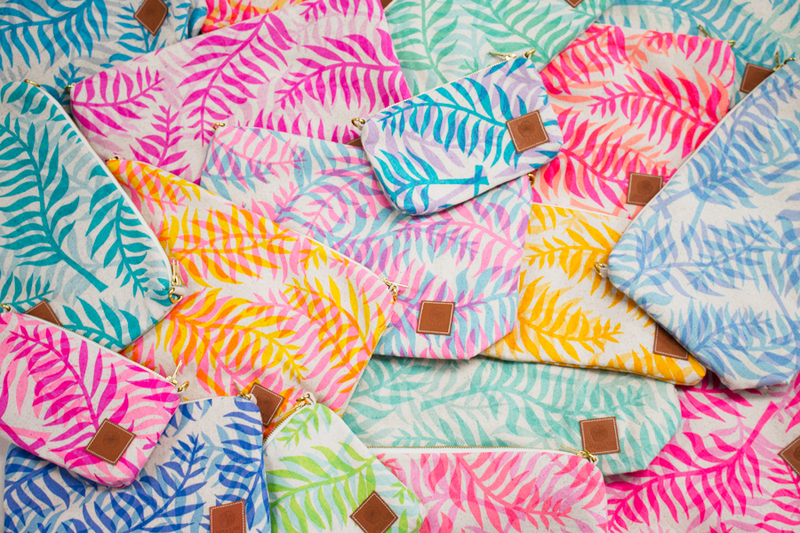 We are excited to have the Palm over Palm print in tons of candy coated colors. We're in love, have been holding on to this print for a while, and can't wait to share it with you!